Whether you have a beautifully remodeled investment home or vacation home in move in condition or an older home that may need some updating, we won’t just list your home for sale- we will sell it! We’re numbers people. As such, we are pros in selling investment properties and second homes. We will look at recent comps as well as homes currently listed in the neighborhood. Based upon the numbers and along with your input we will price the home correctly and get it on the market. Our Broker was the first in the High Desert to receive the The Resort and Second-Home Property Specialist (RSPS) Certification from the National Association of Realtors. The certification means she has the expertise to assist clients in the buying, selling, or management of investment, development, retirement, or second homes. Currently, she is the only one that possesses the certification. What that means to you is you have a local professional with the recognized experience and expertise to help you sell your investment property, development, retirement home, or second home. As such, we are able to tap into our vast network of others seeking investment properties and second homes and the 29 Palms, Joshua Tree, and Yucca Valley area. Once matched, we can skillfully close your sale at your agreed market price. Correctly pricing a home is one of the biggest challenges home sellers face. We analyze the current sales and trends and then we work with you to arrive at a price and a plan. 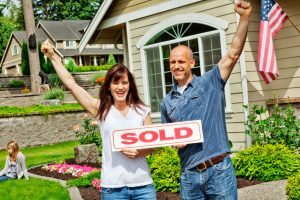 Once your home is priced, we list your home for sale and then it’s time to market, market, and market! That’s where we set ourselves from the rest.You see, our success really comes down to marketing and negotiation. We utilize 25+ years of in-house marketing experience and industry networking to get our clients the exposure they need; and we use our years of negotiation experience for results that make every client feel like a winner. Dawn is an EXCELLENT choice. I have worked with Dawn for over 5 years. She is and exceptional professional in the Real Estate area. I have used Midas for 3 transactions over the years. 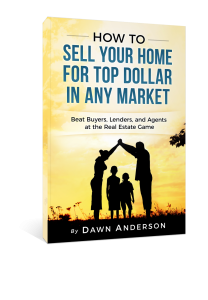 Dawn Anderson, owner, is extremely knowledgeable and helpful and her fees are very fair. She is my one and only Realtor, and I will continue to use her. You are nothing short of awesome! I will be certain to pass your name on at any opportunity Dawn. Thank you again for your expertise and diligence. Complete the information below, and one of our 29 Palms Realtors will contact you ASAP. We will answer your questions, provide pricing information, and discuss your second home or investment property sale. In one hassle free phone call, we will get the ball rolling.